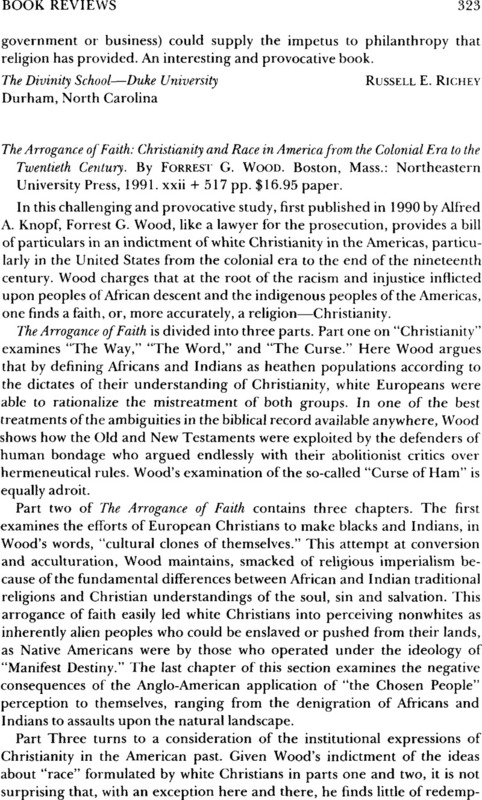 The Arrogance of Faith: Christianity and Race in America from the Colonial Era to the Twentieth Century. By Forrest G. Wood. Boston, Mass. : Northeastern University Press, 1991. xxii + 517 pp. $16.95 paper.